You've got the wine, now what? 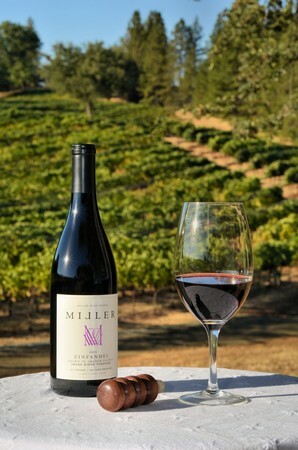 A great bottle of Miller Wine Works 2013 Zinfandel is the perfect accompaniment to your dinner. Unfortunately, unless you attended the CIA like Gary Miller, what to make to pair with it might induce anxiety or result in a kitchen disaster. Luckily, Gary has decided to dedicate this issue to sharing one of his favorite recipes to pair with his Zin and help your dinner score a win. Our 2013 Zinfandel won a Gold Medal at the California Zinfandel Championship and was scored a 91 with Wine Enthusiast. It's not so secretly great for drinking. Did you know it makes a killer secret ingredient to your BBQ sauce? If cooking a dinner for friends is out of the question even with the guidance of our classically trained chef and wine maker, we still have you covered. Why not follow us on Facebook to find out the dates of our Fall Food Nights (starting in October) and leave the cooking to the professionals? We'll leave the wine drinking to you.